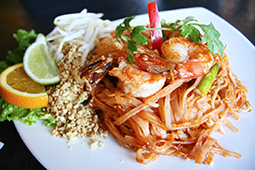 Enjoy the great taste of Nimman Thai from home, at work, or share with friends. This Valentine’s Day, Thursday 14th. Free Appetizer with any 2 Entrées. Start from 3 PM, until quantities last. But we will make sure to have enough for everyone. Reserve your table NOW!! 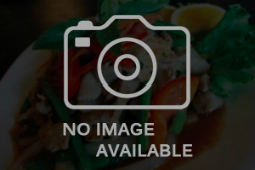 For all Dine-in at Nimman Thai Cuisine this Mother’s Day, we’re making a Special Thai Dessert for all mom, ladies and girls. While supply last this Mother’s day. This Valentine’s Day, Wednesday 14th. Free Starter for every couple and single. Introducing our NEW tasty dishes, pick one from the 2 new Appetizer dishes. Start from 3 PM, until quantities last. But we will make sure to have enough for everyone. Reserve your table NOW!! A Scary good deal. The Zombie’s coupon is back to creep you out. Receive the $5 off coupon with every purchase of $40 before tax. 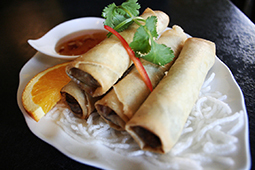 From all Dine-in, Take-out or Online order from nimman.ca. Start from this Friday the 13th. See you at Nimman. Don’t be scared. From August 1, 2017 to August 31, 2017. 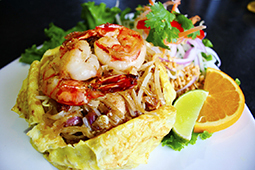 Take 10% OFF from online order thru nimman.ca. No conditions. Applied to both Delivery and Pick up order.